MSNBC Analyst and retired Air Force Lt. Col. Rick Francona and MSNBC anchor Amy Robach discussed the military's recent find of an extensive tunnel that prevented a massive escape at an Iraqi prison. On March 24, an informant in America's largest prison in Iraq at Camp Bucca tipped off officials at that facility that a group of prisoners had planned what would have been the largest prison break from a U.S. facility in history. Wednesday's 'Washington Post,' reports that military guards discovered a fully completed 357-foot tunnel that included ventilation, lighting and cardboard at its exit. 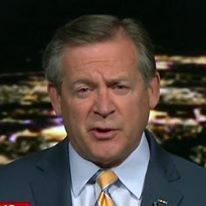 According to MSNBC Analyst and Retired Air Force Lt. Col. Rick Francona, both the thwarted breakout and level of expertise involved in the scheme were astonishing. "I'm not only surprised that it happened, I'm surprised at the sophistication of this tunnel. If you look at the specifications of what these guys did basically using their hands and tools that they could craft from things that they stole from their American captors," he said. "They moved 100 tons of dirt in 60 days, they were able to hide the dirt. ... They were able to hide it under the barracks, they flushed it down the commodes, It was lighted, ventilated, very well done." Francona, who said that the population of the prison has almost doubled to nearly 6,000 within the past year because of U.S. counter-insurgency operations, noted Iraq's history of creating architecturally impressive structures. "The Iraqis have been engineers since time began. They've built wonderful things. If you travel through the country you can see the skill that they have. So to find a few engineers in a group of prisoners shouldn't be surprising," he said. Since foiling the breakout by analyzing satellite imagery after the tip, Francona said U.S. officials have adjusted their policies. "There are different procedures in place today, I can tell you that," he said. "How did it happen? Well, the American guards were naïve when they first got there. They figured 'They're in captivity. The war's over for them.' Not quite," Francona said. Changes are both structural and managerial. "They've rearranged the camp now, put solid concrete foundations under all the buildings and moved the buildings so that they're under constant observation," Francona said. "No more than groups of 20 together at one time."